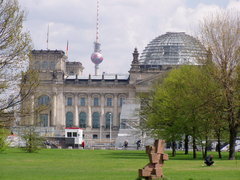 Berlin is the capital of Germany and one of Europe's largest cities. Bearing the scars of a century of upheaval, war and division, it is a vibrant, delightfully unpretentious city with something for everyone, whether backpacker or jetsetter. This guide, created by a long-time Berlin resident, aims to provide you with the information you need to plan a successful Berlin trip. As well as the classic tourist destinations such as the Brandenburg Gate, we cover some out-of-the way places you won't find in the standard guidebooks. This guide is divided up into thematic sections - see the menu on the left, or our quick overviews below. And the search function is the quickest way to find specific keywords.